I’ve been a bit of a shopping fiend over the past week (only one thing has gone back! ), particularly at Me & Em. 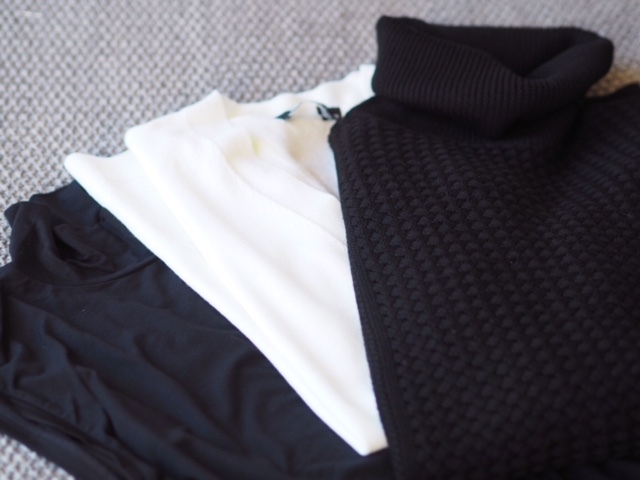 I picked up a black textured wool sweater, a cream wool v-neck sweater and a sleeveless polo top to wear under anything at all. The Me & Em sale is on at the moment (annoyed to find my cream sweater in there less than a couple of weeks after I bought it) so I’ll mix what I’ve already bought with a few picks from the sale. I love this brand for its ability to make everything stylish, roomy and easy to wear without turning items into saggy heaps that swamp. I love lounge wear.. I’m definitely not a shirt and suit person and I can’t remember the last time I tucked anything in other than Uniqlo heat-tech underwear. I like a bit of flow. This is the textured knit sweat – jeans, black trousers, joggers – goes with everything to be honest. I saw someone (Mikhila!) wearing a similar black polo with black skinnies (below) and gold flats. It looked amazing! The sweater is £149 HERE. 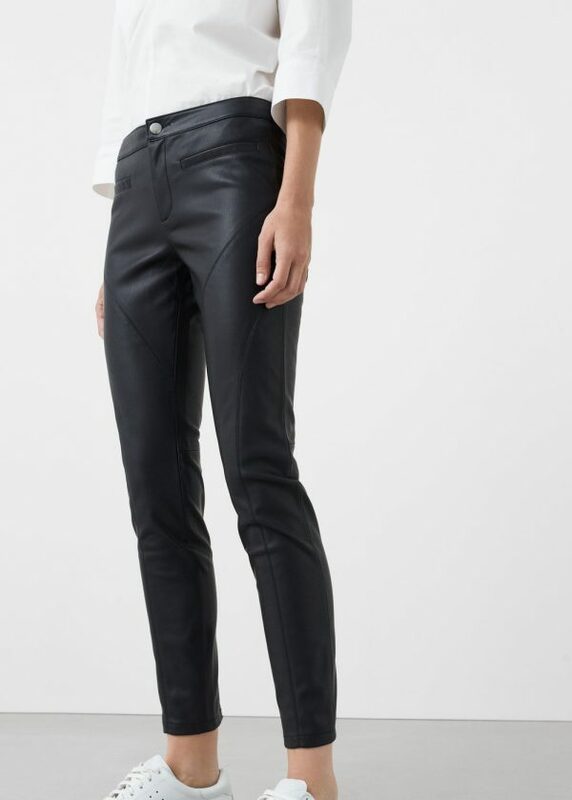 .. a pair of Waxed Skinny jeans which are hard to find this year. They’re £35.99 HERE. The white panel knit sweater is reduced from £99.99 to £49 (only small sizes left but other colours in all sizes) HERE and I know it’s a ridiculous indulgence buying white wool when I live in London! 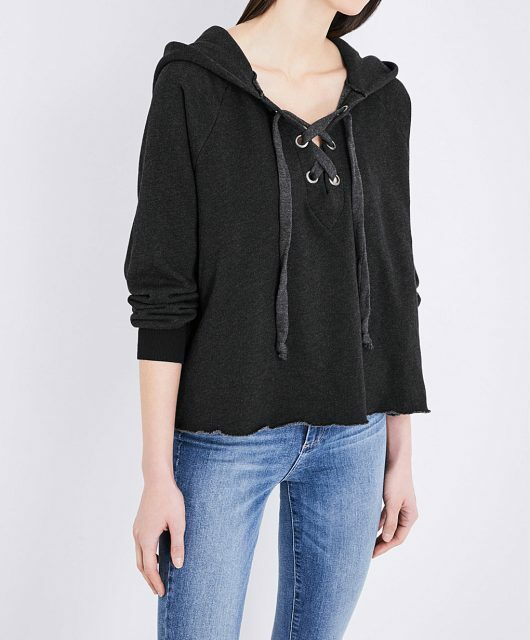 Also wishing I’d bought this luxe sweat top reduced from £65 to £45 HERE. 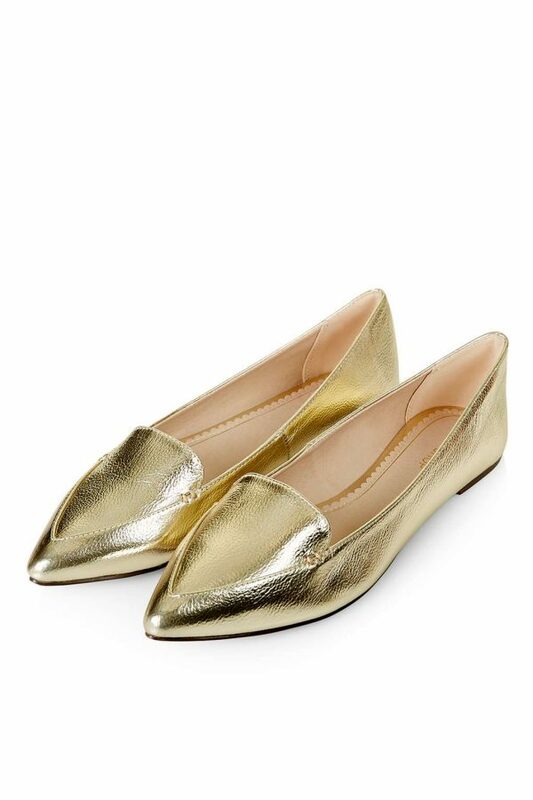 These gold flats are from Top Shop for £18 HERE if you need shoe inspiration! I’m not a fan of short cardigans at all… they remind me of being 5 years old… but I have a black longline like this one that I wear ALL the time. 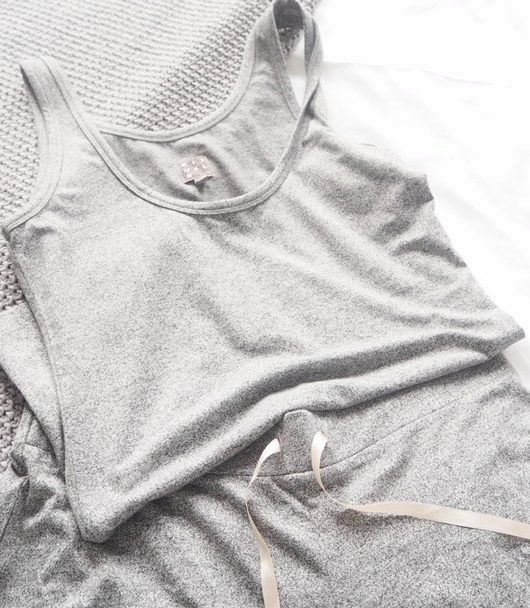 It’s basically an everything cardi – out, in, in bed even! It’s basically an acceptable version of a dressing gown! 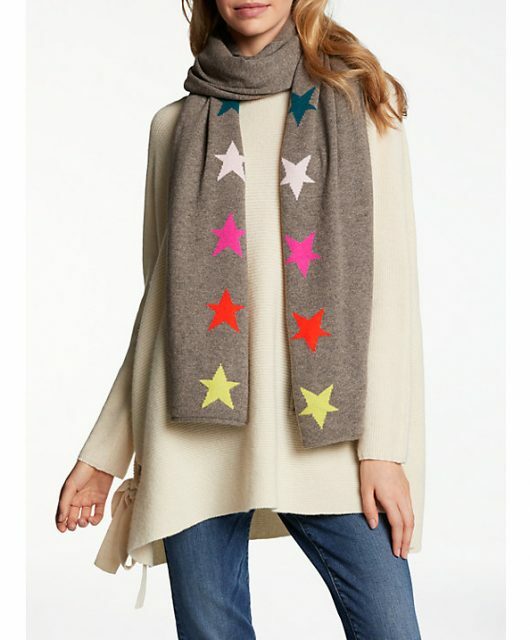 It’s in the Me & Em sale HERE reduced from £145 to £72. 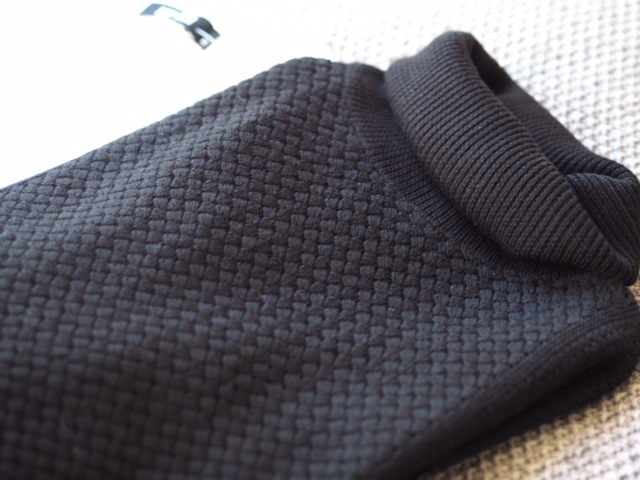 My final purchase from Me & Em was this little roll neck undervest type thing (yes of course I know my fashion terms! 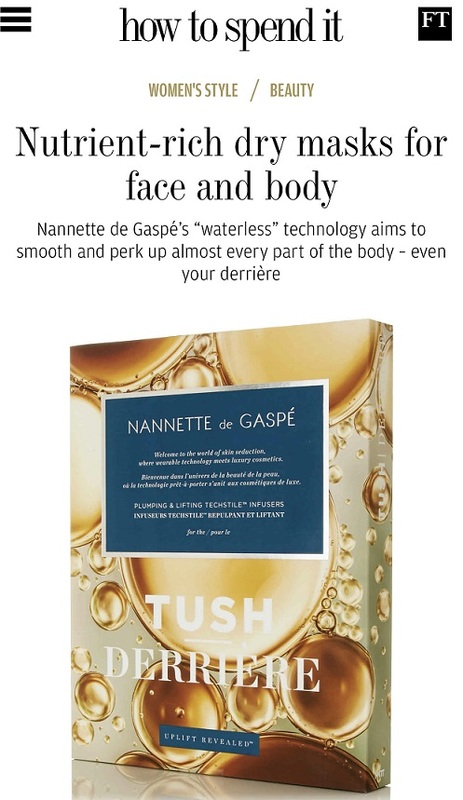 – I think they call it a ‘layering’ top) which is so soft and comfortable I never want to take it off. It’s also brilliant for under all those v-necks you wish you hadn’t bought because you could do without the wind whipping round your neck and chest! Ever practical. In the summer, the brand had a lace collar version and I have both the black and white version and wear them a lot. The roll neck is £45 HERE. There are other colours. Finally (I said I’d had a spree! ), I picked up a faux fur gilet from TK Maxx (in black but basically the style above) and love it. 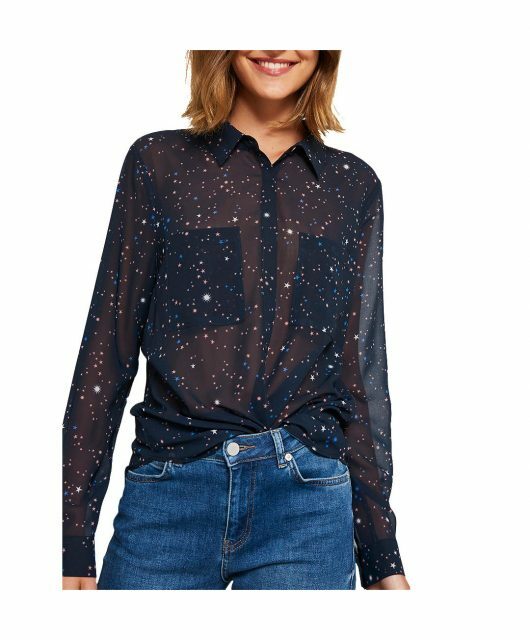 This one is £29.99 from £99 HERE. 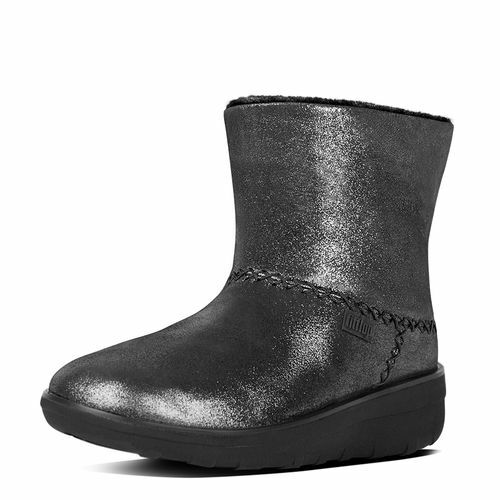 PS: Just before I was ready to post this, I got an offer code for 25% off through from Fitflop that includes all their warm winter stuff (use: Secret25) – Shorty Shimmer Mukluks here I come! They’re £110 before discount HERE.